We now have this elegant, classically designed, vintage-style bag in stock. We choose this bag specially for our customers who like something a little different. 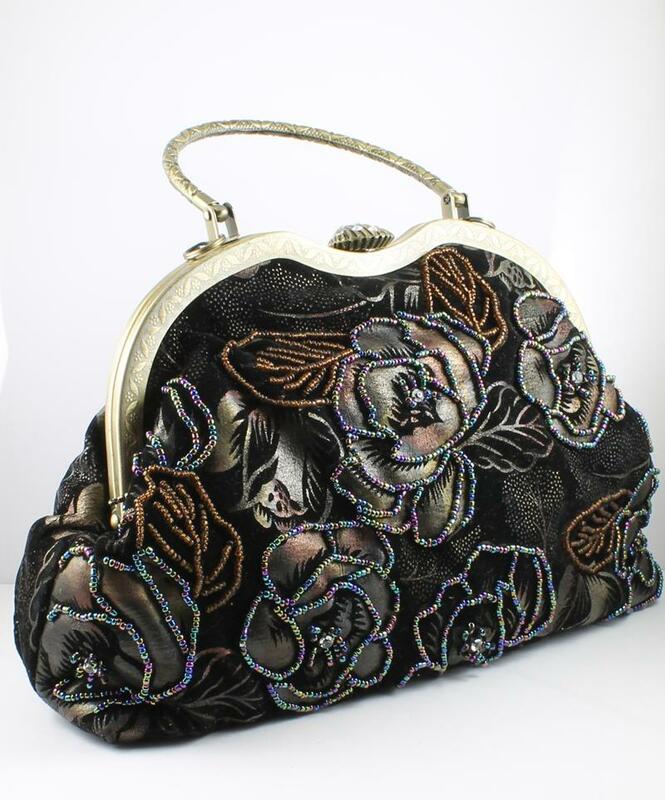 It has an intricately woven black and brown floral design, featuring a floral motif of roses, that are wonderfully highlighted with beads which bring a splash of rainbow colour to the bag. The handles and frame are bronze, and it’s fastened with a jewelled bronze shell clasp. There’s an additional long shoulder chain which is stored inside the bag, and which is crafted in the Byzantine style. While this bag could be perfectly alright for day wear, you’ll find it will really shine (literally even) as an evening bag for your special occasions. You can see more pictures of this bag, and purchase it, on our product page.